Ukraine in January-March 2018 exported 169,941 tonnes of nitrogen mineral or chemical fertilizers for $34.238 million, while imported 558,292 tonnes worth $117.265 million. According to the State Fiscal Service, nitrogen fertilizers exports to Turkey amounted to $14.846 million, Mexico to $7.085 million, Romania to $3.983 million, and other countries to $8.325 million. 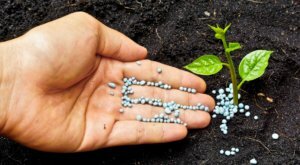 Nitrogen fertilizers in the first quarter of the year were imported from the Russian Federation for $21.929 million, Uzbekistan for $21.929 million, Lithuania for $15.372 million and other countries for $49.1 million. In addition, Ukraine in January-March of this year exported 1,474 tonnes of ammonia (code 2814) for $433,000, imported 114,906 tonnes for $41.965 million. All the ammonia was imported from the Russian Federation. As reported, in 2011, Ukraine exported nitrogen fertilizers for $1.69 billion, and imported – for $153.347 million, in 2012 – for $1.695 billion and $163.234 million, in 2013 – for $1.134 billion and $211.822 million, in 2014 – for $647.623 million and $175.747 million, in 2015 – for $521.552 million and $212.931 million, in 2016 – for $321.614 million and $216.095 million, in 2017 – for $ 125.427 million and $337.346 million. In 2011, Ukraine exported ammonia for $594.942 million, and imported – by $0.006 million, in 2012 – for $640.281 million and $0.026 million, in 2013 – for $628.606 million and $40.412 million, in 2014 – for $314.713 million and $43.518 million, in 2015 – for $251.937 million and $28.676 million, in 2016 – for $40.569 million and $51.802 million, in 2017 – $42.969 million and $123.012 million.